The advertisement No. 01/2018 for Lahore High Court Jobs 2018 has come on today newspaper Jung. 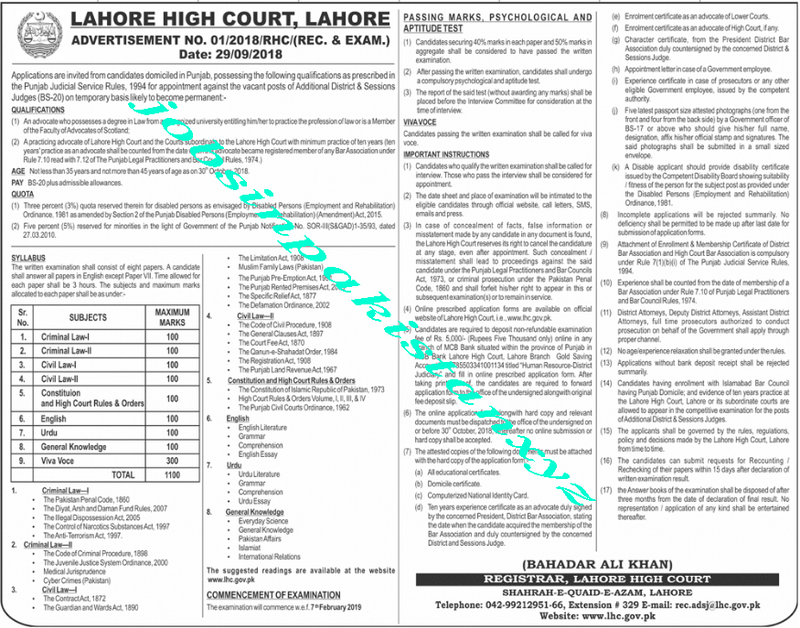 Apply online for Lahore High Court Jobs 2018, online forms are available on Lahore High Court official website. The last date for submitting of application form for Lahore High Court Jobs 2018 is 30 October 2018. The age limit for applying online Lahore High Court Jobs 2018 is 35 to 45 years.